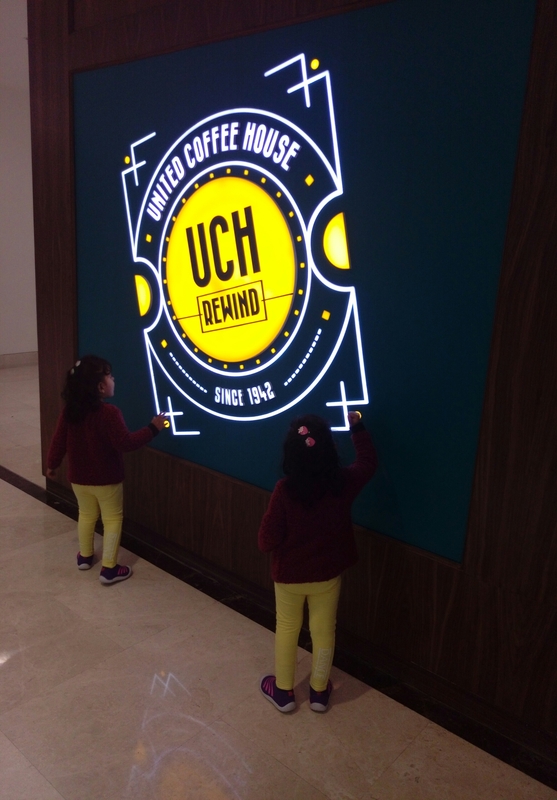 United Coffee House Rewind – UCHRewind at Dlf Mall of India , Noida is unique in a lot of ways. 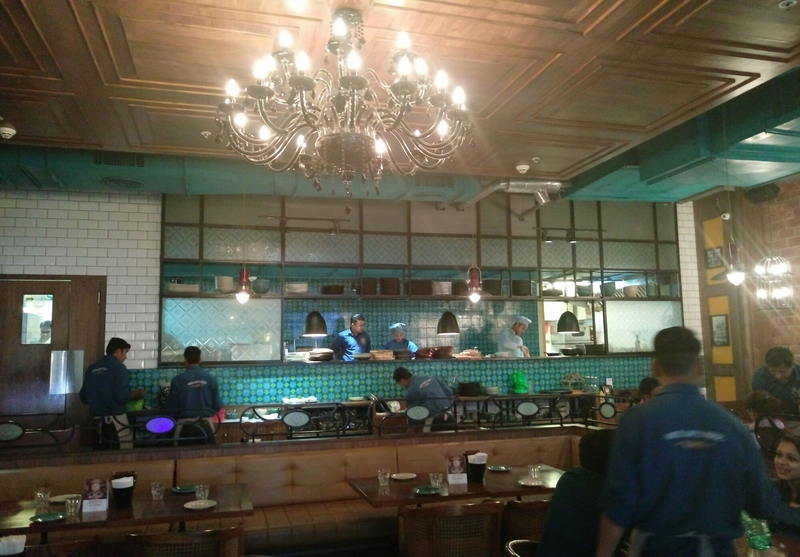 From the cool blue color exterior, a colored version of the original place at Connought Place (CP) to this really cool sitting space which is very well utilized to offer maximum sitting, the elaborate menu that seriously spoils you with choices and off course a see through kitchen. Normally Sunday’s are like those lazy days when you have already stepped into Monday blues. And after a heavy breakfast you are not able to decide whether to go out for Lunch or have a light one at home. 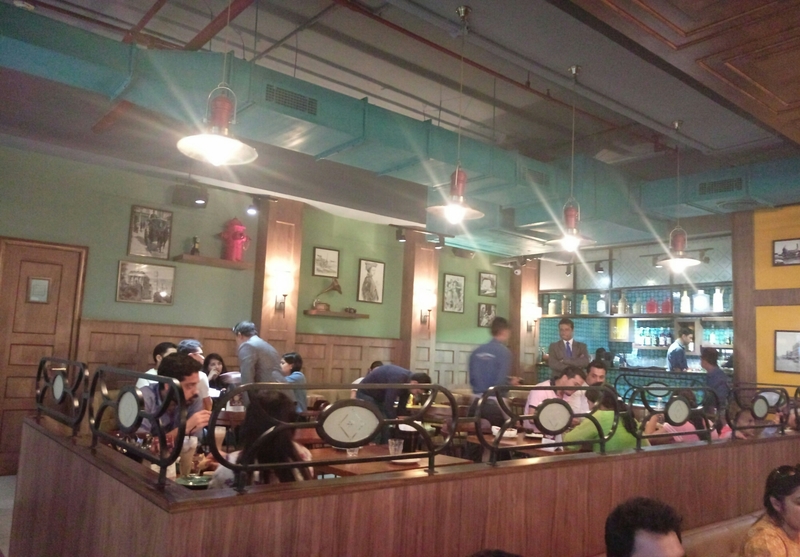 Same happened with us and we thought of stepping out to Dlf Mall India for lunch. 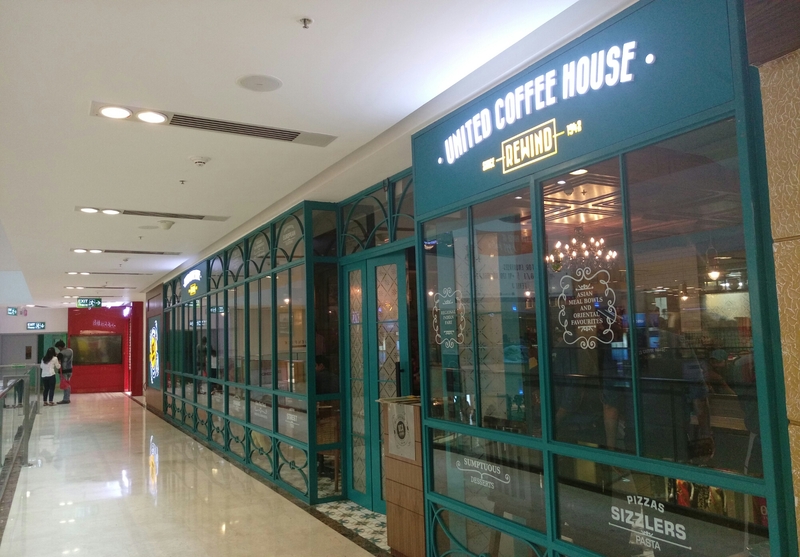 This Mall really spoils you with a lot of dine-in choices.We finally settled down for UCHRewind as I wanted to have my coffee and my husband wanted something less heavy for lunch. We had a waiting of 10-15 minutes at 3 in the afternoon, so we booked our table for 2 & went to take a round of the mall. When we came at 3:15 we grabbed our seat , we were handed 2 menus -the food and the drinks menu, but after flipping through the pages we were completely confused with the range of choices and therefore asked for help from the serving staff on what to have on a pretext that we had a heavy breakfast at 11. 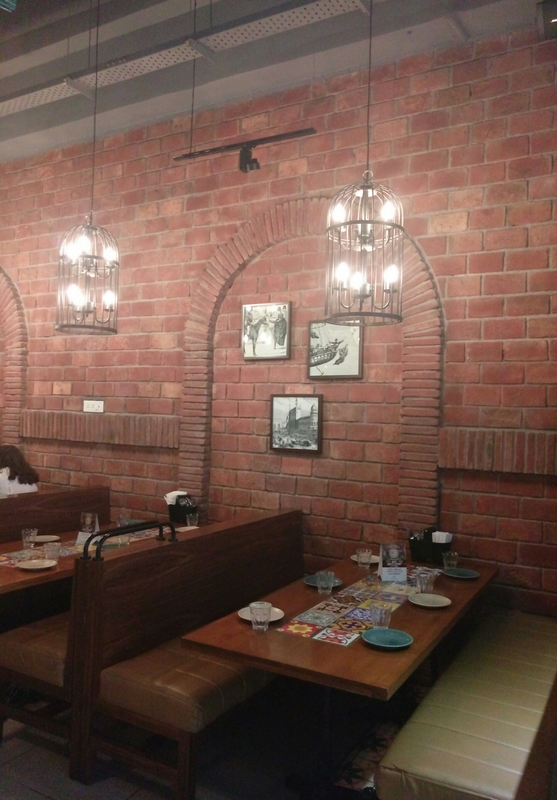 The recommendation came to go for their signature sizzler – Vegetable Cordon Bleu , their signature mocktail JamunRita and he said that please have this if you feel you want to order for more I will help you with more options. 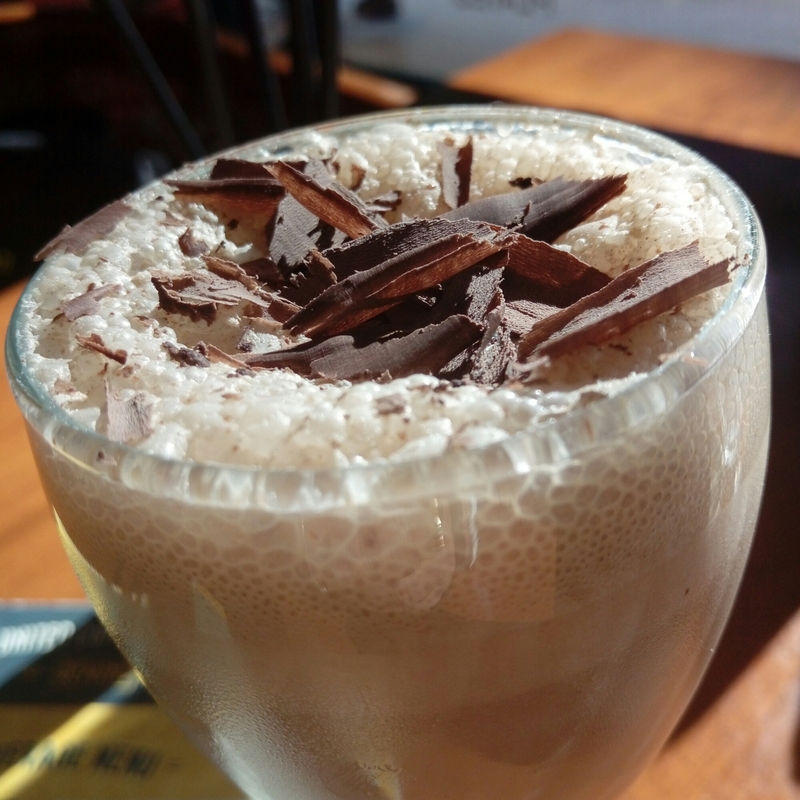 I added my cold coffee and we were happy to go. This is a mocktails version of margarita with Jamun flavor, I am sure that’s where it drives it’s name “Jamunrita” though I am not sure. 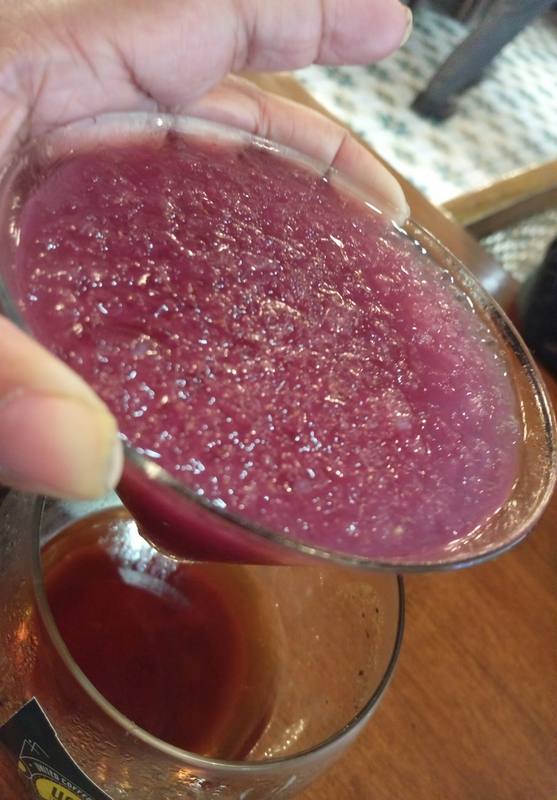 This is one of the best picks if you love jamun flavor and like your mocktails a little strong on flavor and spices. 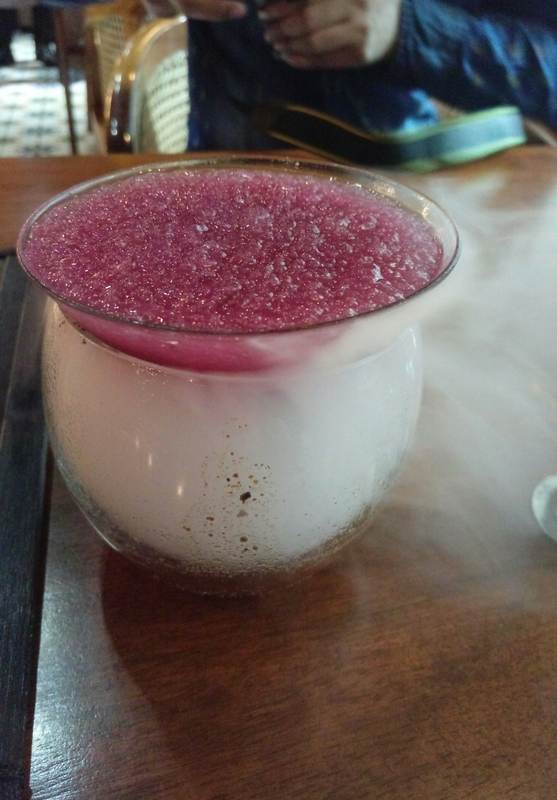 jamunrita is spiked with red chilli and foggy clove smoke in liquid nitrogen loaded with loads and loads of crushed ice and serving is very interesting too. Loved it truly. 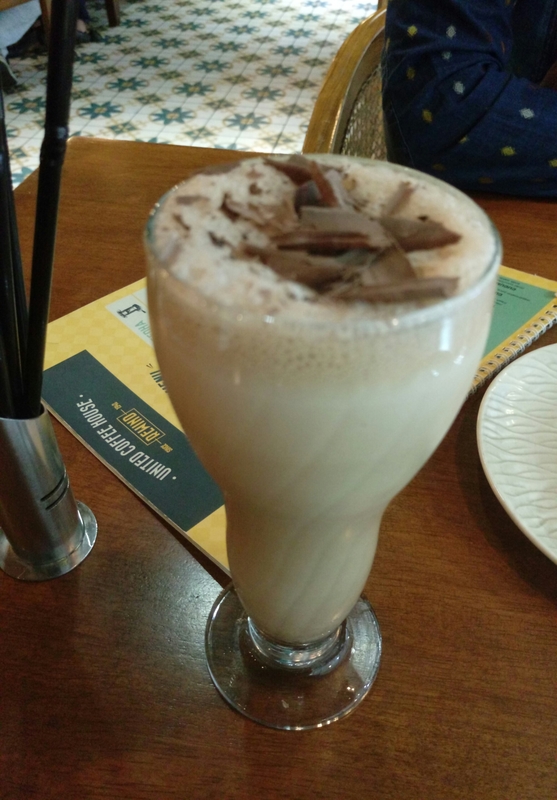 We were updated that this drink was launched in Aug when this restaurant opened up at Dlf Mall and since then this has been there most ordered mocktail and I can truly believe that but also this is not preferred much in CP restaurant. Thank god I tried it here and keep coming back to have this. 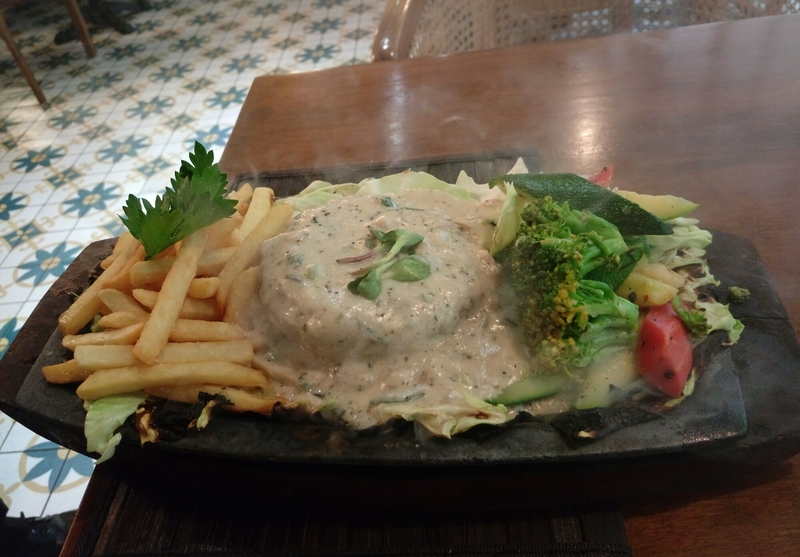 This is their vegetarian special sizzler from the house of sizzlers. 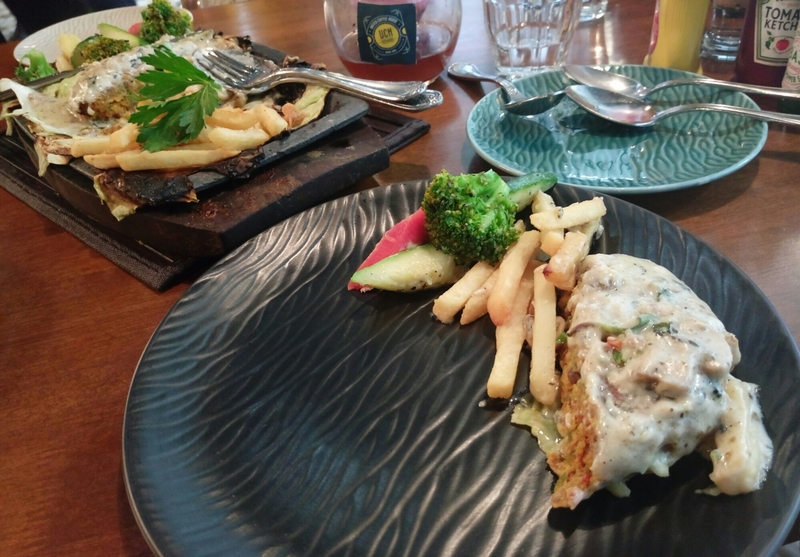 Vegetable Cordon Bleu is a European dish that has exotic vegetable Patty sauted in French white wine topped with morney cheese sauce served with veggies and fries on a sizzler. And I can vouch this is more than sufficient for two. ( provided you both are not very very hungry).